I’m pretty excited to share this little project with y’all today. I promise that even though there are a million lot of pictures in this tutorial, it is super easy! I’m not very crafty so the fact that I made a few of these already, says it all. Also, in order to make this tutorial a bit less intimidating (and let’s face it, not so lengthy!) I’m going to break it down into two parts. Originally, I wanted to purchase some of those really cute covers you can find all over Etsy. 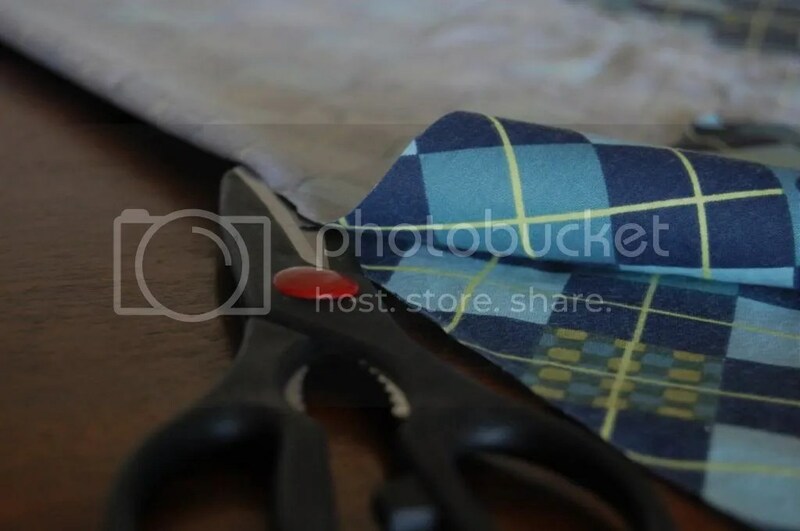 After looking at prices, I gulped and decided that instead of trying to justify to my husband (and honestly, to myself) that $45 for a piece of fabric which will get dirty is reasonable, I decided to search for a way of making one myself. The key thing was that it couldn’t require a sewing machine, since I don’t own one. I only found a few tutorials and after making 4 of my own, through trial and error finally landed on exactly how I liked the changing pad cover best. For me, the main obstacle in following the tutorials I found were that the directions weren’t clear or detailed enough and definitely didn’t have enough pictures. Like I said, I’m not crafty so maybe that has something to do with it but I figure that when sharing my tutorial, it would be picture heavy and have lots of detailed explanations to go with it. You’ve been warned, it’s a long post but by the end of it hopefully you’ll be confident in your newfound sewing no-sew skills like I am. Alright! 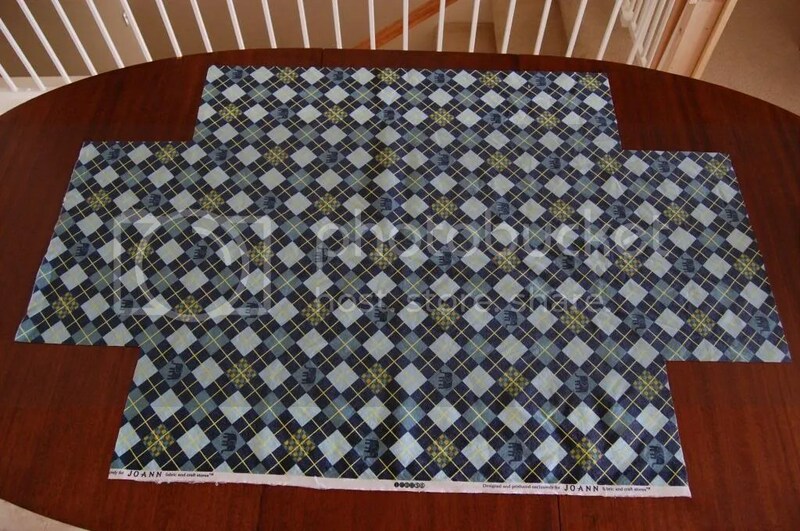 Let’s start with the items you will need to make this no-sew changing pad cover! I’ll make additional notes as the tutorial goes along, to clear up any possible questions that might come up. With two yards of fabric, you will have leftover scraps. 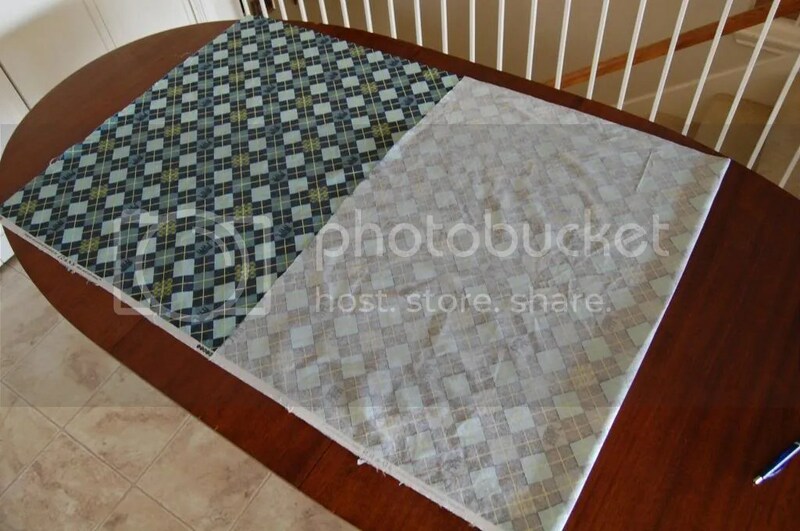 One yard of fabric is 36″ x 42″, so while it is wide enough for one side (the 32″) it will be six inches short for the longer side that you’ll need for the cover. 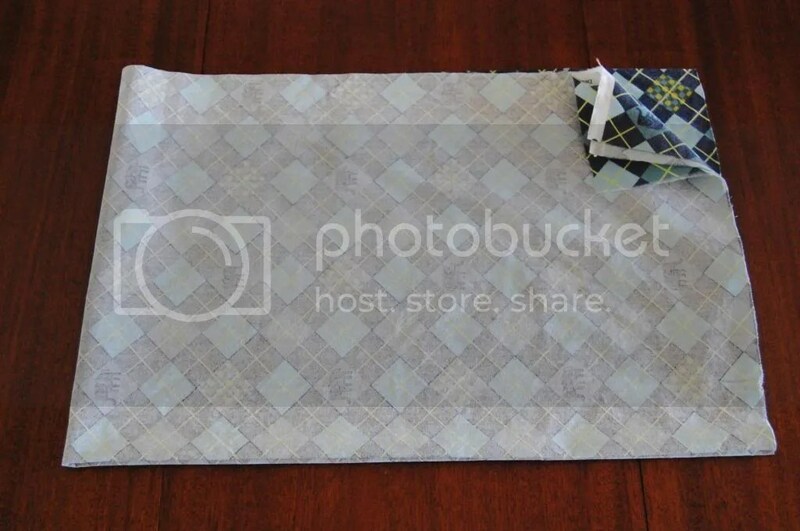 A bonus is that you’ll have leftover fabric for other projects! Technically, this isn’t a no-sew cover since you have to sew together the elastic. 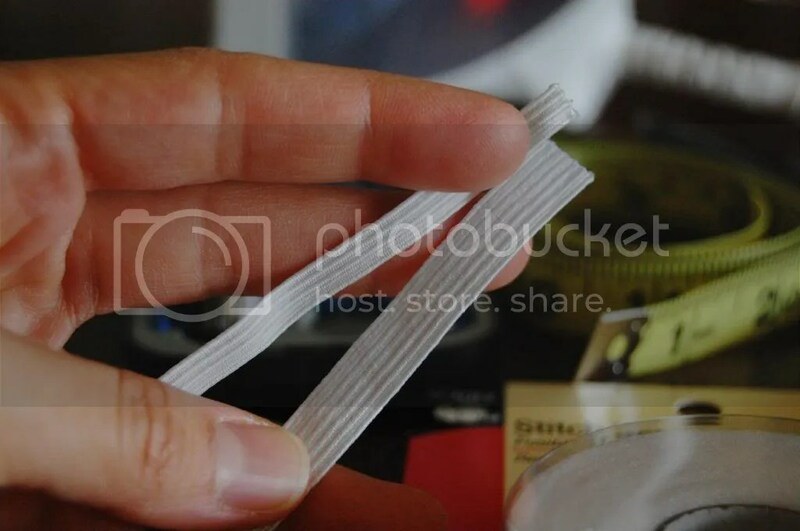 On the tutorials I read, none of them offered a solution other than to leave small safety pins inside the cover holding the two ends of the elastic together. That seemed unsafe and I would rather not have sharp objects inside something that my child will be on. If you absolutely don’t have a needle and thread, you could try tying a knot or something. Note: don’t try binding the elastic together with Stitch Witchery. I tried it on one cover and it didn’t hold together. Follow the directions on the back of the Stitch Witchery package exactly as written. I skipped using a damp cloth the first time around and after washing my cover, some of the seamed areas had come undone. Care instructions: Machine wash cold on delicate cycle, hang to dry or tumble dry on lowest setting. I’m still rather skeptical about the endurance of Stitch Witchery so we’ll see how it holds up in the long run. For now, it seems fine. I’ll make sure to update this post on any changes! First, gather all your materials. It was easier to have everything within arm’s reach so I wasn’t looking for something mid-project. If you notice, there are two different sizes of elastic in the picture below. I’ll explain more about that later on, but you will only need one size. 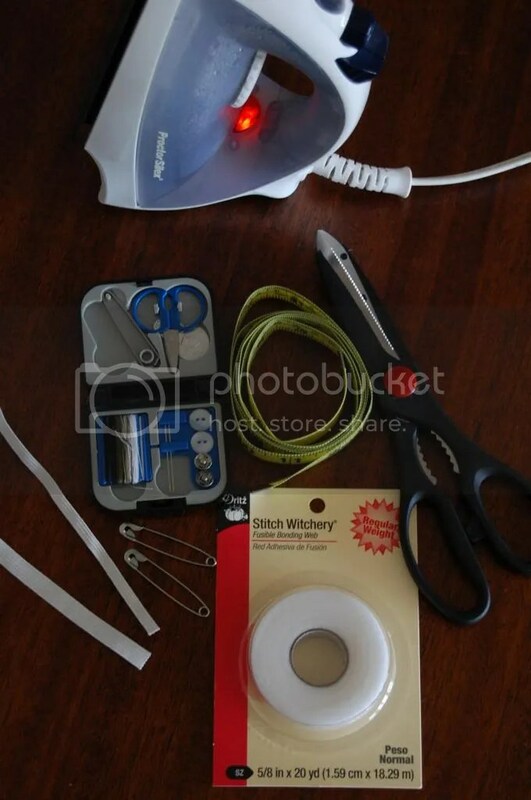 Also, you won’t need the entire little black sewing kit so just grab about 12″ of any color thread and a needle. Here’s a close up of the Stitch Witchery. 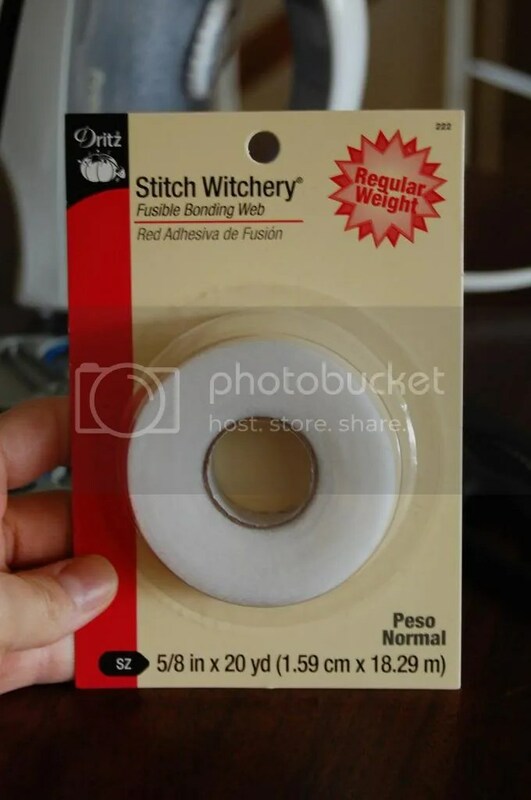 If you’re anything like me and don’t like asking for help walking around a fabric store for a long time, you can find this stuff in the same aisle with all the sewing accessories. At my local JoAnn Fabrics, it was right next to the cutting counter. Make sure you get the regular weight and 5/8″ x 20 yd roll. Now, about the different elastic sizes. The first two covers I made, I used the 1/4″ size elastic which is the skinnier one pictured below above the thicker one. Either size works well, it’s just a matter of personal preference. Pro tip: Buy the elastic by the yard. 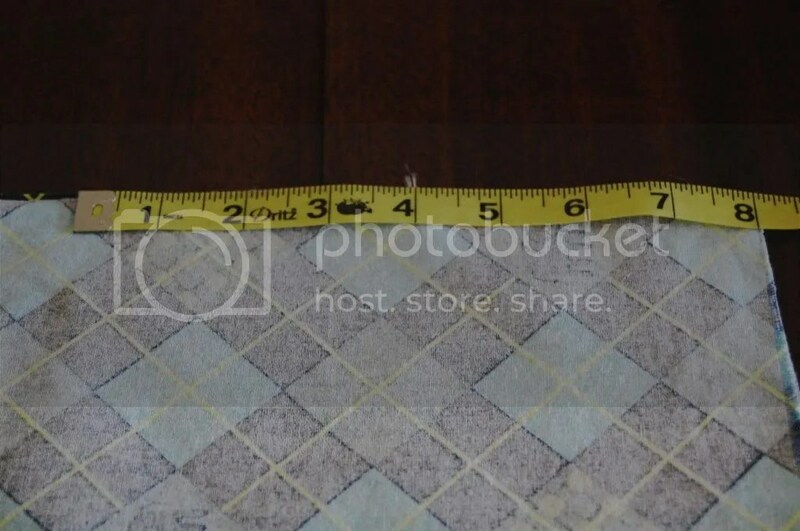 I paid $0.59/yard for the 1/4″ size and $0.99/yard for the 3/8″ size. It’s less expensive since you’ll need two yards total (remember, 36″ is one yard and you need 52″) and you can just cut off the excess. The best safety pins that worked were these larger ones. 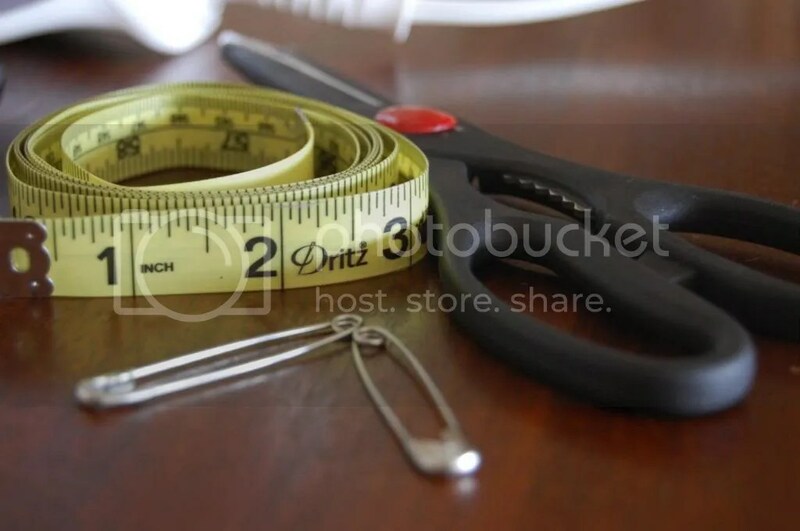 They measure right around 2″ long, which made the threading go by more quickly than the smaller safety pins. Sorry about the blurry shot, my focus was clearly off. Before you get started with cutting out your measured fabric piece, I suggest washing and drying the fabric first. You want any fabric shrinking to happen before you finish the cover. If you don’t prewash the fabric, you’ll end up with a cover that will shrink in the wash and may not fit anymore because it’s too snug. That’s no bueno. 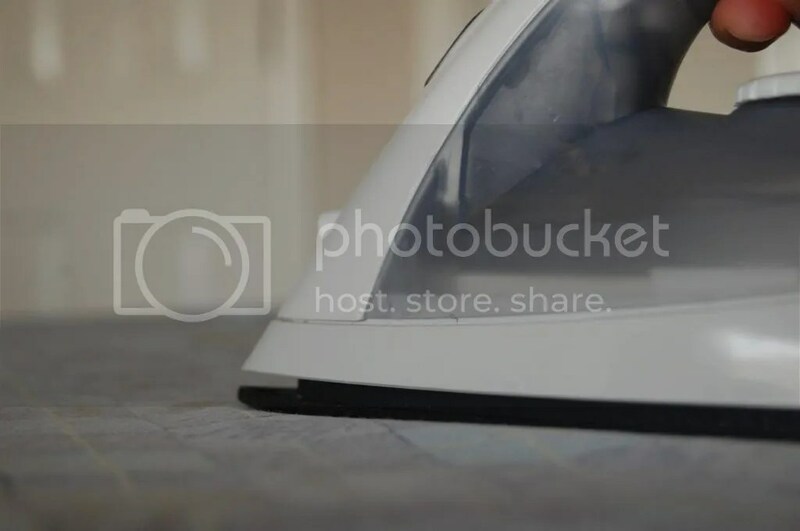 After it’s all clean, go ahead and iron out all the wrinkles. 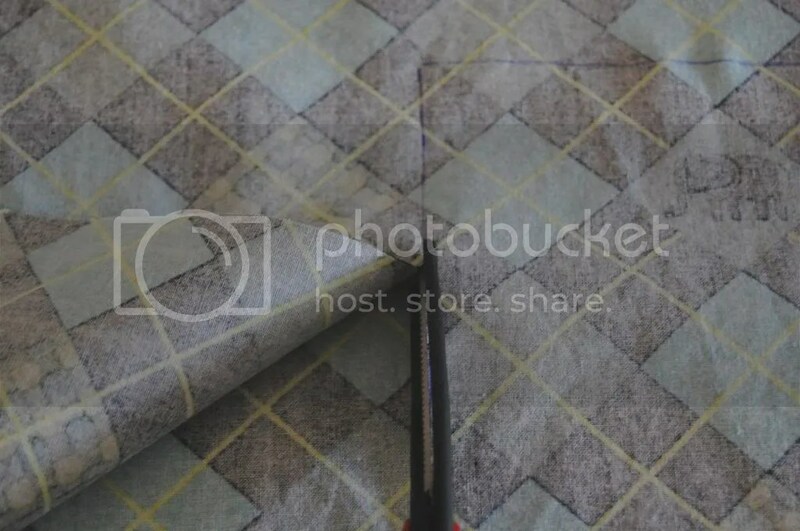 I found the wrinkles happened with the 100% cotton (the one pictured in this tutorial) versus the quilter’s fleece material I used for two other covers. It’s your call but I preferred taking a few extra minutes to make my life easier later once I got started with all the cutting. All smooth! 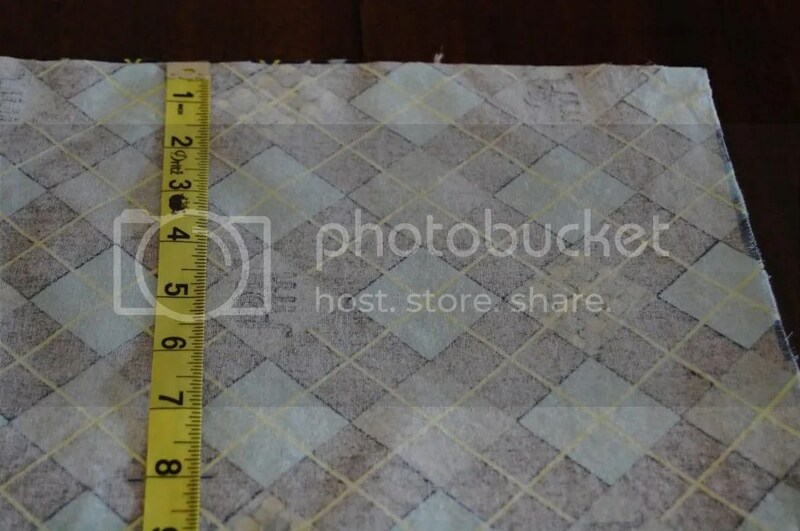 Now, you can go ahead and start measuring each side of the fabric. Since the 2 yard piece is going to be 72″ long and 42″ wide, I suggest measuring out the shorter side (32″) across the width of the fabric. Use a pen (or fabric pencil if you’re fancy) to make a small marking where you will end up cutting the fabric. 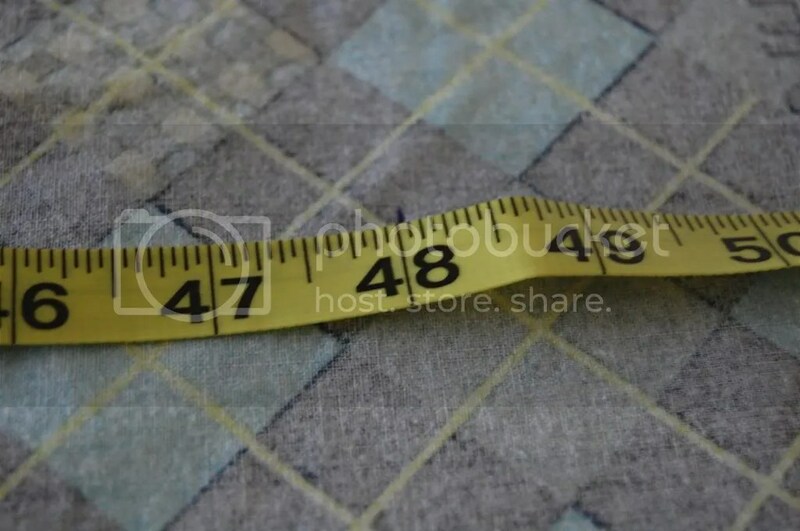 Measure along the length of the fabric now and make another pen mark at 48″. 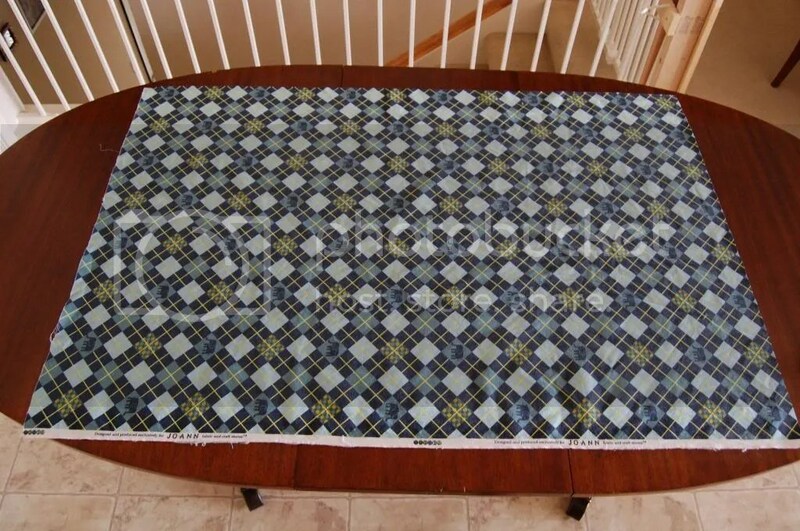 Now that you have both measurements marked out, go ahead and fold the fabric lengthwise along the 32″ marking. This will make it easier for you to cut out a straight line, rather than try and guess as you go and end up with a crooked line. 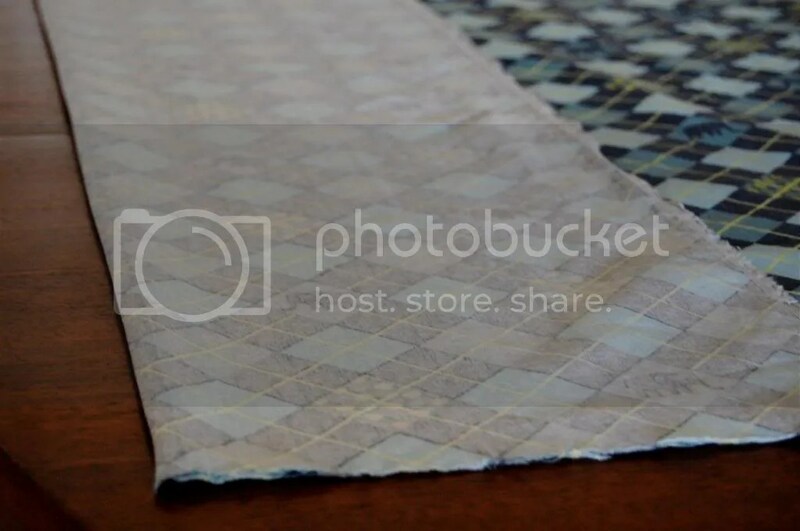 The photo below is if you are looking from top to bottom (or vice versa) along the length of the 2 yards of fabric. Take your scissors and cut against the fold, using one hand to pull the shorter end taut so that you get a clean and even cut. Now you have your 32″ width set and just have to shorten the original 72″ length down to 48″. Repeat the folding and cutting steps, except this time you are folding the fabric widthwise along the 48″ marking. This is a top view of my folded fabric before cutting it. 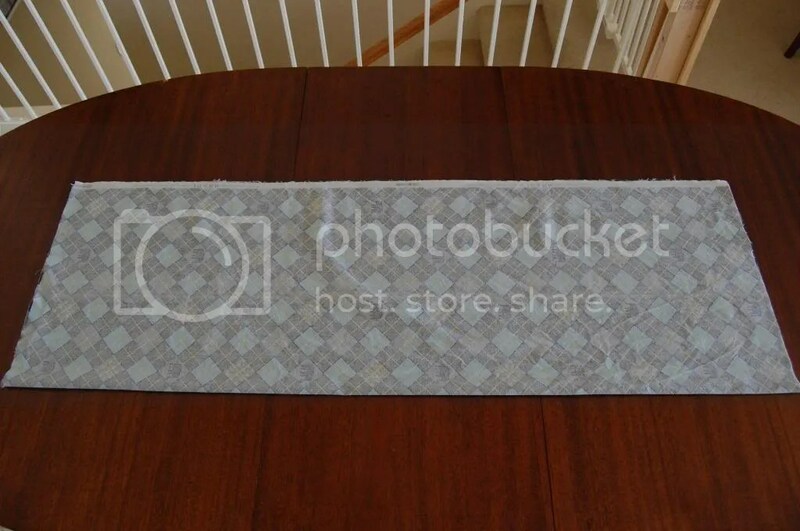 Here is your 32″ x 48″ piece of fabric ready to go! The next thing you need to do is fold your fabric lengthwise, like so. Just take each bottom corner and fold up away from yourself until they are even with the top corners. Then, fold again widthwise. You’ll now be left with a smaller piece, as pictured below. If you notice, I unfolded the top right corner so you can see the section where your next cutout is going to be. I’ll explain that next. 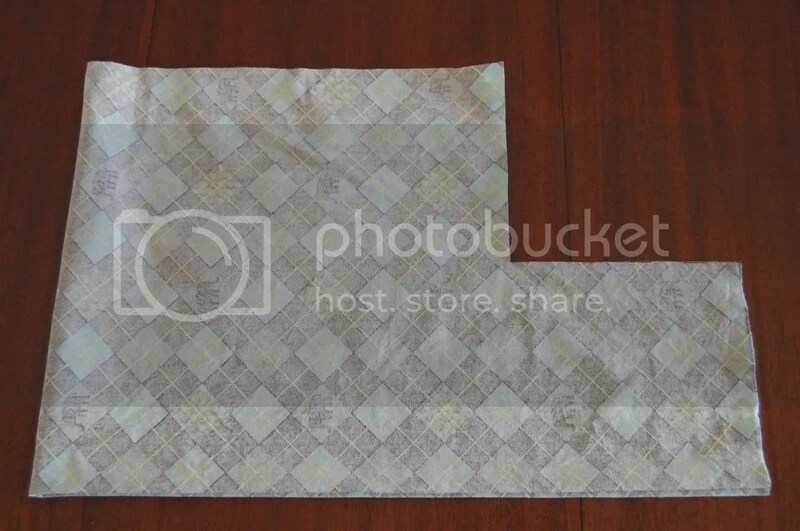 Next, you’re going to cut an 8″ x 8″ square from the folded fabric. Measure out each side and draw a line so you get a straight cut. 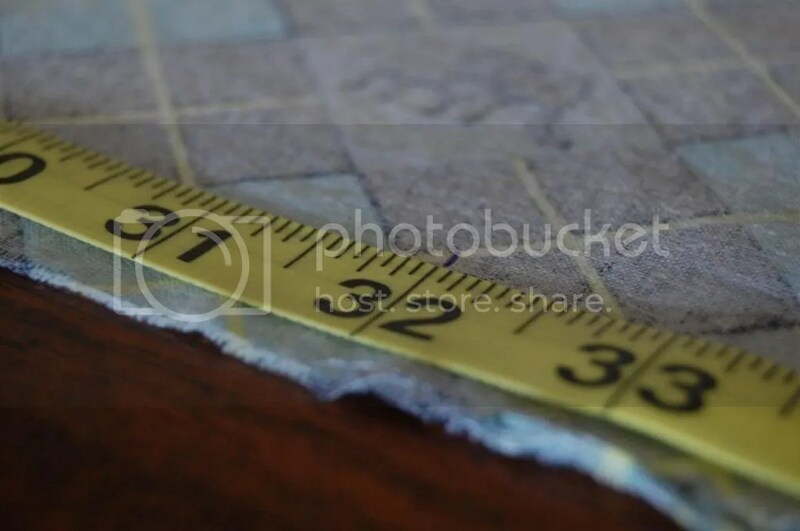 Using your measure tape as a guide, draw a straight line on both sides with your pen to mark out the 8″ x 8″ square area. Grab your scissors and cut out along the drawn lines. I found it easier (at least with my scissors) to cut through two layers at a time as pictured below, rather than all four at once. Whatever works for you is fine, just make sure you end up with an even cut along both sides. 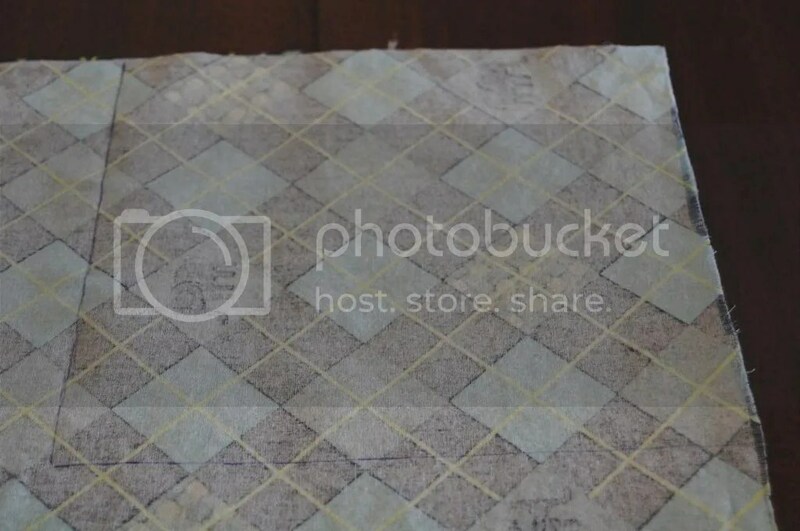 Here’s what your cutout section will look like with the fabric still folded. Now, unfold your fabric and you are left with a piece that looks like a Lego (except not as three dimensional!). Congratulations, you’ve prepped your changing pad cover fabric and it looks fabulous. With your fabric all ready to go, we’ll leave it here until next time when I’m back with Part 2 of the tutorial!